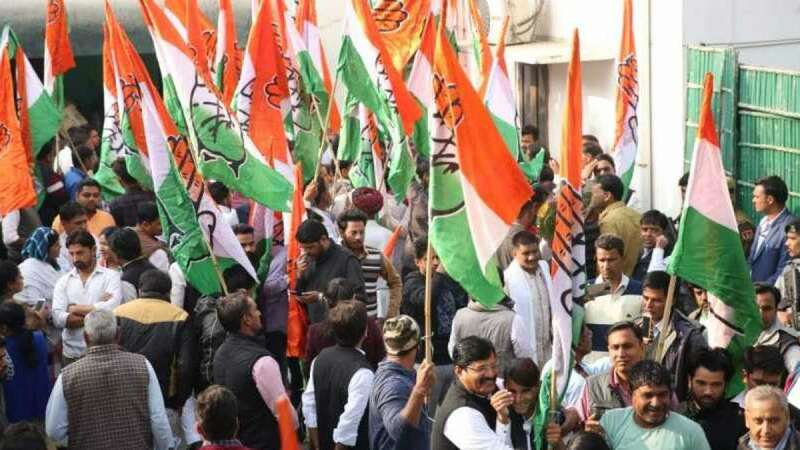 Telangana : Congress candidates on Tuesday took significant leads in BJP-ruled Rajasthan and was inching ahead of the BJP in both Madhya Pradesh and Chhattisgarh in Assembly elections held in five states. Early trends from counting centres also showed that the Telangana Rashtra Samithi (TRS) appeared set to retain power in Telangana while the ruling Congress was lagging behind the Mizo National Front (MNF) in Mizoram in state elections that were widely dubbed a "semi-final" ahead of the Lok Sabha battle next year. Congress spokesperson Abhishek Manu Singhvi told the media that he was confident of a Congress victory in Rajasthan, Madhya Pradesh and Chhattisgarh and said he had "always been a little more pessimistic" about Telangana.